Voting Opens to Public on June 20 and Will Conclude on June 27 at the Closing of NANOG 73 in Denver; IPv4.Global to Donate a Percentage of IPv4Auctions.com Sales to Winners. NEW YORK, June 22, 2018 — IPv4.Global, an operating unit of Hilco Streambank (www.hilcostreambank.com), today announces the finalists for the inaugural IPv4.Global Good Netizen Awards, which will coincide with the NANOG 73 meeting taking place June 25-27 in Denver. Award finalists are KidsTek and PCs for People, each of which will receive a financial contribution from a donation pool in proportions commensurate with the final voting. IPv4.Global is also a sponsor of NANOG 73. The IPv4.Global Good Netizen Awards are designed to recognize and celebrate local non-profit organizations that have demonstrated exceptional “netizenship” throughout their communities, including engaging in the promotion of internet access for all, supporting and funding internet and technology education, and contributing to open and ethical internet business practices. The winner will be chosen through an open, online vote which began on Wednesday, June 20 and will conclude on Wednesday, June 27, coinciding with the closing of NANOG 73. IPv4.Global will contribute one percent (1%) of its gross sales on the IPv4Auctions.com platform from July 7 through July 14, dividing the proceeds between the IPv4.Global Good Netizen Award winner and runner-up proportionate to the number of votes each organization receives. To vote for the winner of the inaugural IPv4.Global Good Netizen Awards, please click here. 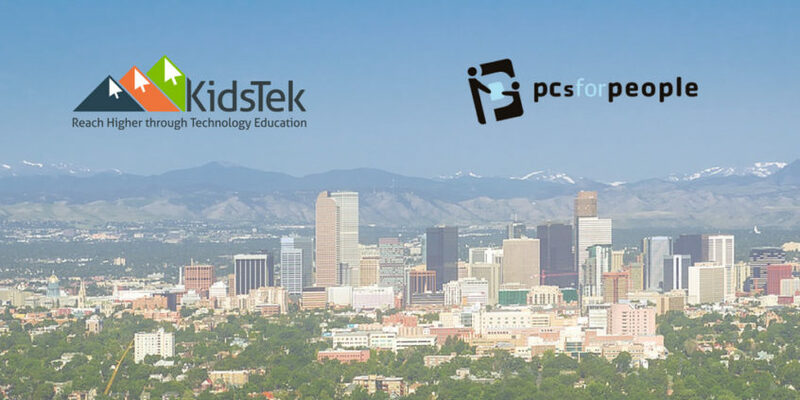 Recognizing the importance of tech literacy, KidsTek prepares students for academic, career and personal success by increasing technology education at Colorado’s highest-needs K-12 schools. Instructors begin teaching elementary students that technology is fun by encouraging participation in projects that incorporate basic computer skills. Middle school students then explore the usefulness of these skills, further strengthening existing abilities while incorporating personal interests. Finally, high schoolers learn that technology expertise is necessary for their future and are given several certification opportunities that enhance their workforce readiness and college preparedness. Recognizing the importance of online connectivity in today’s economic and educational landscape, PCs for People strives to bridge the digital divide by providing low-income individuals and families with functional computers. Access to this necessary tool provides them with the ability to use online resources to achieve academic success, financial independence and technological proficiency. Every computer distributed by PCs for People impacts, on average, 3.3 individuals, including 2.2 children, in households with an average annual income of $16,400. In addition, for 60 percent of families, these machines function as their first-ever home computer. 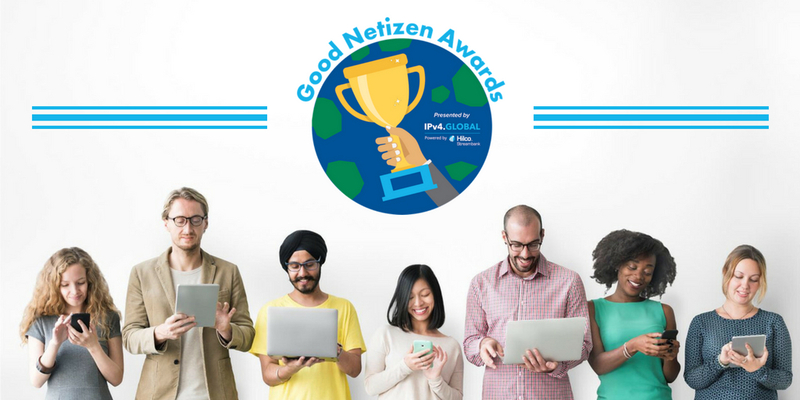 For more information about the IPv4.Global Good Netizen Awards, email info@ipv4.global.